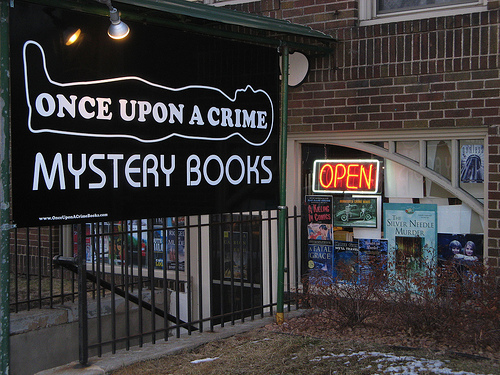 Want to own a Mystery Bookstore? Here's your chance! 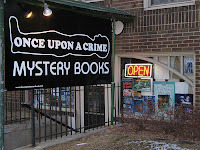 Once Upon a Crime, the small but famous independent mystery bookstore in Minneapolis, is for sale! Pat Frovarp and Gary Shulze, who have owned the store at 604 W. 26th St. for 13 years as of Aug. 1, said they made this difficult decision because "We're not getting any younger," and Shulze is undergoing cancer treatments. "Regardless, we knew the day was coming soon when someone else should own Once Upon a Crime," Shulze said Monday. "The store continues to thrive and we hope there is someone out there who will eagerly take the reins." 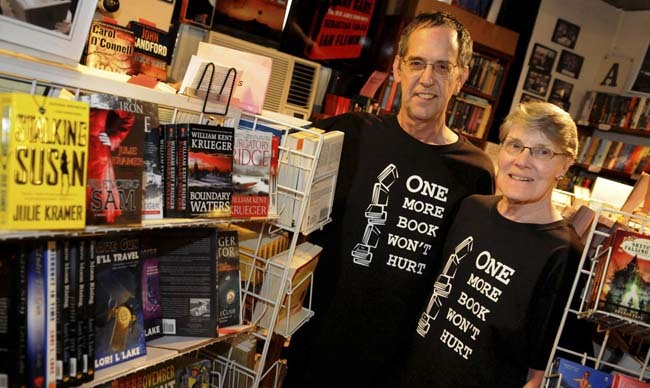 Once Upon a Crime was voted Favorite Mystery Bookstore in the Country by Crimespree magazine and in 2011 the couple received the Mystery Writers of America's highest honor, the Raven Award, for outstanding contributions to the genre. Read more from the St Paul Pioneer Press here!